This tutorial teaches you about medical words. You'll learn how parts of medical words are put together. You'll also find quizzes to check what you've learned. You can use this tutorial on our website or download Understanding Medical Words Tutorial (PDF, 1.3 MB). You can download a reference for Understanding Medical Words (PDF, 1.1 MB) to help you practice finding parts of medical words, so you can better understand them. Find out why you and your doctor sometimes are speaking different languages. 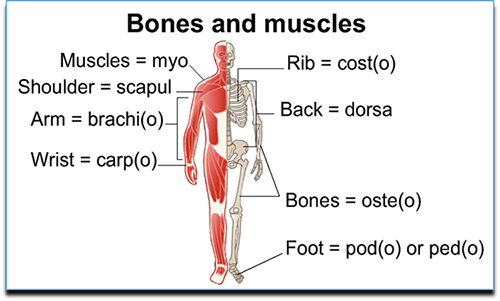 Learn how to put together parts of medical words. See what you've learned by taking short quizzes. Learn more with links to lists of word parts and abbreviations. Download the materials mentioned above for this tutorial.